The human heart is a muscular wonder that beats constantly from the 8th week of pregnancy till death. From the moment it begins beating until the moment it stops, it works tirelessly. In an average lifetime, the heart beats more than two and a half billion times, without ever pausing to rest. Like a pumping machine, the heart provides the power needed for life. This life-sustaining power has, throughout time, caused an air of mystery to surround the heart. Modern technology has removed much of the mystery, but there is still an air of fascination and curiosity. Consultant Cardiologist Dr.T. Subramaniam, throws more light on this wonder machine, this World Heart Day. Like a motor supplying water to a house, it supplies blood which distributes oxygen and food to various parts of the body. The heart is powered by the heart muscle and the flow of blood inside the heart is regulated by valves. It has a left and right half each having one upper and lower chamber, totalling in all four chambers. The right side of the heart deals with impure blood and the left half handles pureblood. The heart derives its nourishment from small coronary arteries. The stimulus for the heart contraction is produced in the ( Sino Arterial- SA) node and it has its own electrical circuit. The energy generated by the heart muscle is recorded as the blood pressure clinically. The heart pumps nearly five litres of blood per minute and it beats at the rate of 70 beats per minute in adults. When the heart muscles under-perform, that is when they fail to do normal distribution of blood, that condition is called heart failure. Heart failure usually results following a heart attack or disease of the heart muscle. 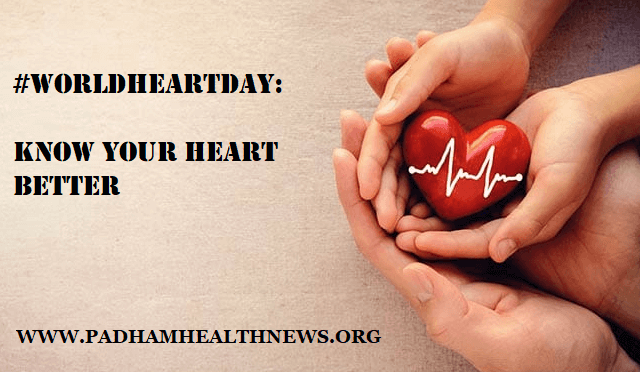 Sometimes the heart muscle over performs and can lead on to thickening of the heart muscle – a condition called hypertrophic cardiomyopathy, wherein the thick muscles fail to relax adequately and the heart underfills. This is a disorder of the heart muscle usually inherited. It is necessary to have some knowledge of the ailments which are of congenital origin, the commonest being constriction of the valves and some of the septal defects which are surgically correctable. Of late non-surgical methods such as, balloon dilation of the valves, closure of the defects by certain non-surgical devices are gaining acceptance. What are the consequences of stress? Find out. A word about blue babies – this is a severe condition where the blood bypasses the lungs leading to bluish dis colourisation of the lips, tongue, and fingers. The valves in the heart are one-way policemen, which regulate the flow of blood in one direction only. Sometimes the valves are narrowed down in disease – called stenosis – which reduce the forward flow of blood. In another condition, the valves do not regulate the one-way traffic well, leading on to leaking valves. The commonest cause of heart valve disease is rheumatic fever which usually follows joint swelling in the young. This is rheumatic heart decease caused by bacterial infection of the throat and the tonsils by a bacteria named Streptococcus. If the infection is not attended to by effective medication, it affects the values leading to either constriction of the value or leakage of the value. In young children suspected to be suffering from this rheumatic heart disease, penicillin in prophylaxis will help a lot in saving the valves. The small coronary arteries which supply nutrition to the heart get narrowed down in disease. The reduction in blood supply means that there is limited nutrition to the heart. In the early stages, this limited blood supply is sufficient to satisfy the requirement of the heart at rest and mild exertion. Moderate to severe exertion is not tolerated and manifests as chest pain on exertion. As the disease advances, the threshold for chest pain – angina – reduces. Complete sudden occlusion of blood supply results in severe pain at rest and is commonly called a heart attack. The heart attack leads to permanent damage to heart muscle and heart failure if prompt treatment is not administered. There are some risk factors which precipitate the heart attacks namely smoking, hypertension, stress, high cholesterol besides genetic background. The electrical stimulus production in the heart may fail to lead to inadequate heart contraction – a condition called sick sinus syndrome. Sometimes despite good stimulus production, there is a block in the conduction in the electrical circuit, called heart block. Some of the cases of extreme blocks, will have to have a permanent pace-maker. The blood pressure that is maintained as a result of the heart can fall if the heart fails or if there is inadequate blood as in the case of severe bleeding. The blood pressure usually rises as a result of an increase in resistance to the flow of blood – this is commonly called hypertension. This may lead to damage to eyes, brain, and kidneys, besides the heart. This has to be attended to medically and periodically visit to the doctor is advised. This is referred to as a silent killer as it does not manifest any signs and symptoms in many. Common symptoms are a headache, heaviness in the head, impaired eyesight, and at times breathlessness. The hypertension is manageable by medicines, altered life style, salt restricted diet, yoga and meditation. World Heart Day message: The best way to keep your heart really healthy and hearty is to lead a composed, disciplined and orderly life. No place for emotions, anger, depression, etc. Probably laughter is one of the best medicines. ← How Do You React To A Heart Attack?